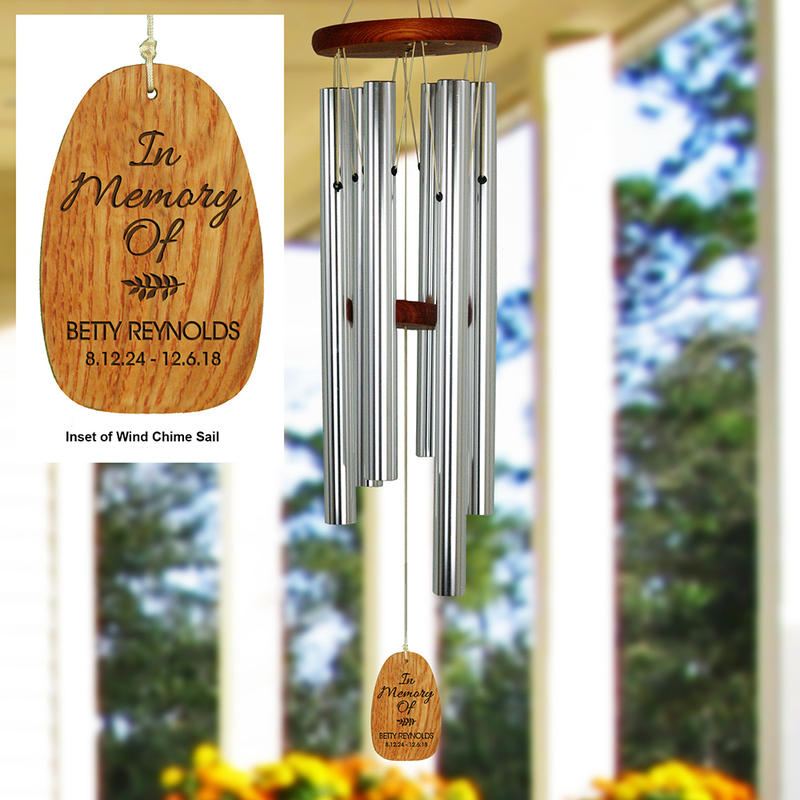 Honor your loved one every day with the beautiful sounds of our memorial wind chime. We'll custom engrave this memorial wind chime with any two line message to create a lovely keepsake in memory of your loved one. This was a sympathy gift for a dear family who just lost their mom/grandma/great-grandma. This lady sang in the church choir for 65 years, played the organ and taught Sunday School and always had Southern Gospel music playing in the house rather than the tv. A lasting musical gift seemed more appropriate than flowers which would wither and be pitched so we purchased these wind chimes. The family not only loved the personalization, but the idea that their loved one's love of music will be remembered each time they hear the melody gently playing. We are pleased with the chimes and the recipient is thrilled with them. This is the third set of chimes we've sent to our mutual friends all of whom were delighted to have such a long lasting memorial for their loved one. Additional Details Shop more personalized memorial gifts for fitting ways to honor the life of your lost loved one.